The perfect Reykjavik one day itinerary when you travel to Iceland. 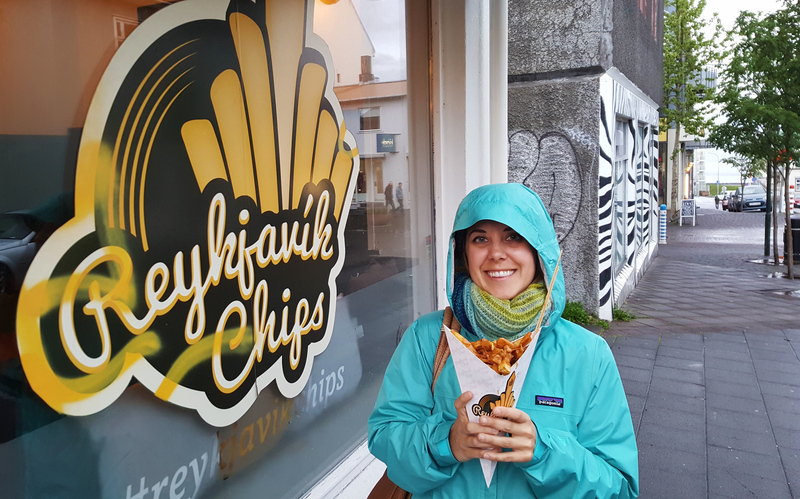 We actually spent more than a day in Reykjavik. I don’t really count the first day though. Our flight on WOW Air arrived at Keflavik Airport at 4:30am. Needless to say, we were exhausted. After wandering around in a zombie-like state until our apartment was ready, we crashed and napped for a few hours. I know you’re not supposed to do that, but we fell asleep that night without any problems after the nap. Waking up feeling totally refreshed, we were ready to explore the city. 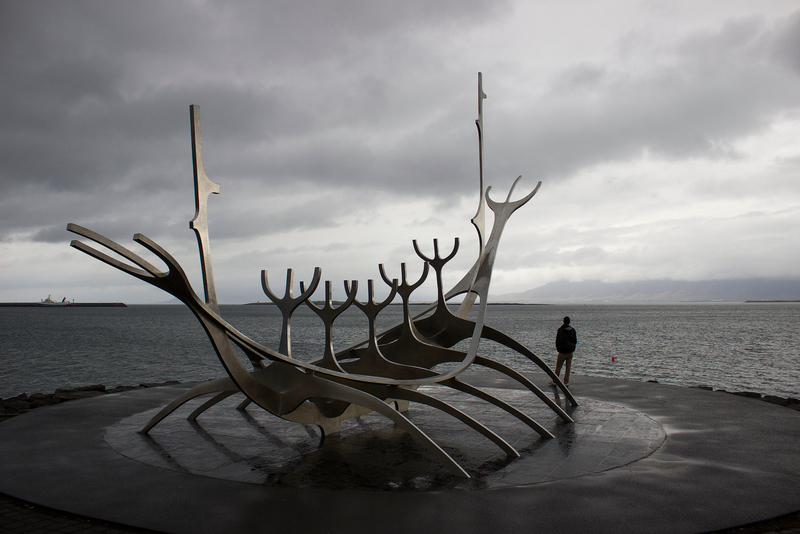 That’s why I present you with our Reykjavik one day itinerary. I’ll give you some more suggestions in case you are able to make the most of your first day after your flight (or you’re spending a couple days there). 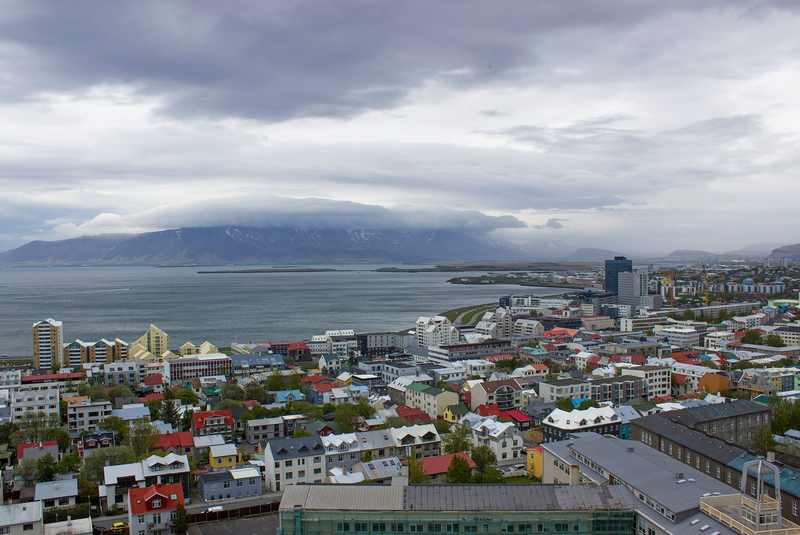 If you’re planning to stay a few days based in Reykjavik, rent a car or take a tour out of the city! 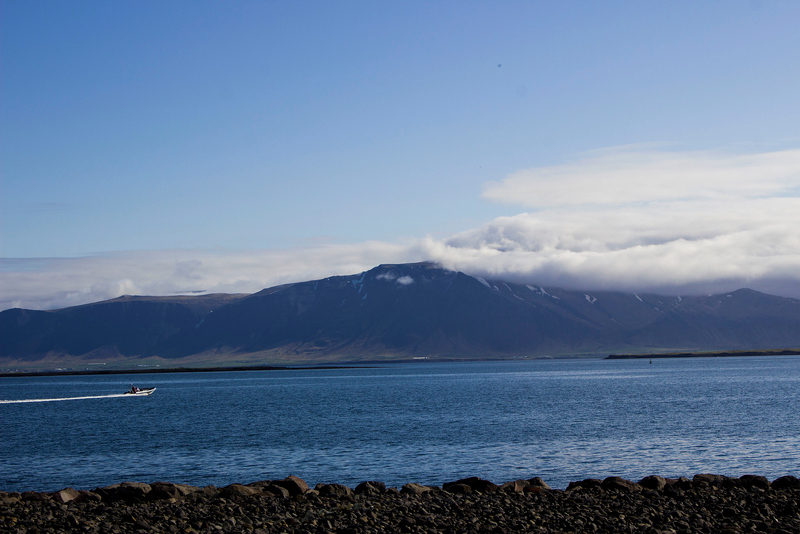 As much as we adored Reykjavik, the adventure truly began when we witnessed the natural beauty of Iceland. Add on a tour around the Golden Circle, the Snaefellsnes Peninsula, or the south of Iceland. As we spent two weeks in Iceland, I’ll be touching more on those places in future articles. 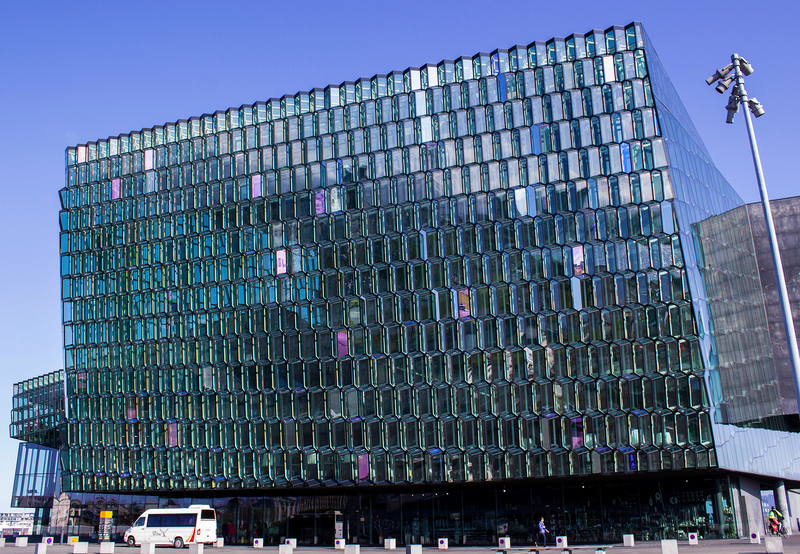 We highly recommend that you stay in a hotel in Reykjavik near the main city centre. 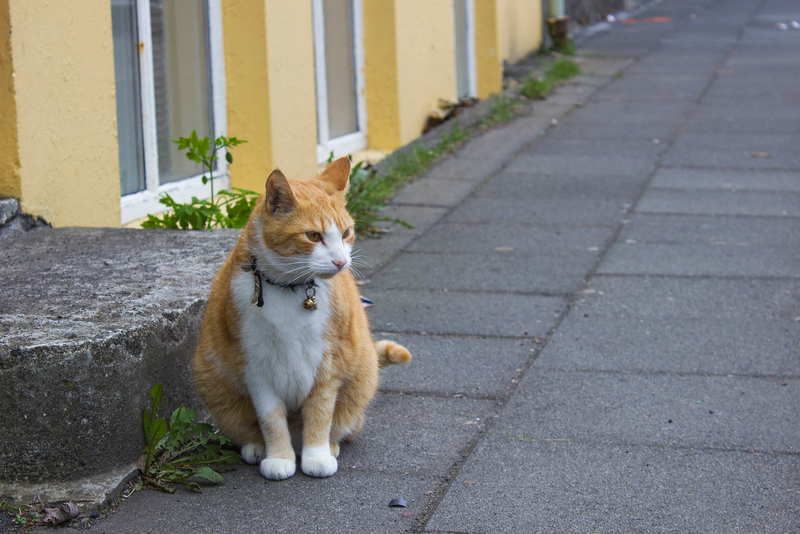 Reykjavik is not a very big city, and it’s very easy to walk around everywhere. 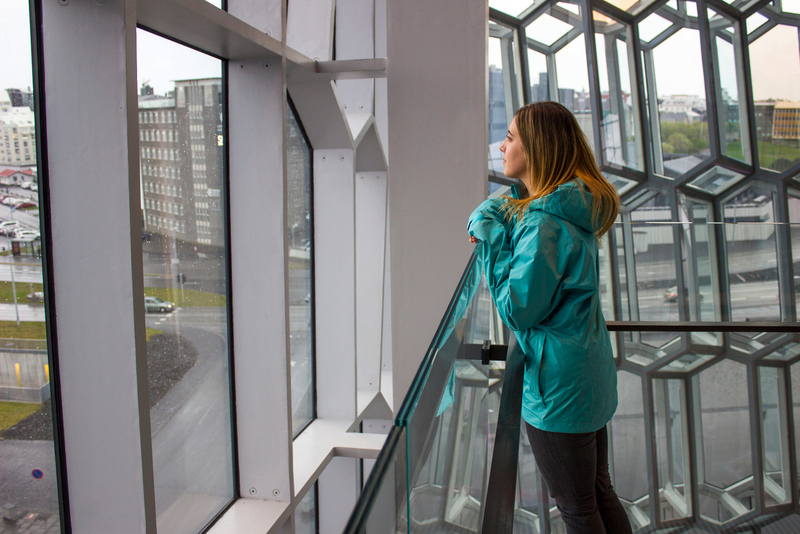 Everywhere on our Rejkyavik one day itinerary is within walking distance of Laugavegur Street and the downtown core. You’ll be able to walk everywhere without the assistance of a taxi or bus. Views from the Reykjavik harbourfront. So, you’ve arrived on an early flight to Keflavik Airport. How do you get to Reykjavik? Well, we booked our airport transportation through Flybus in advance, although you can do it when you reach the airport. It was easy to book our tickets in advance on the Flybus website. You only have to specify the date of arrival, and not the particular bus that you’ll be taking. There are buses departing the Keflavik Airport 35-40 minutes after every flight arrival. When we traveled to Iceland at the end of May, there was a bus leaving every hour. We didn’t feel rushed to catch any bus. Instead, we enjoyed a coffee at the airport and stretched our legs a bit before getting on board another mode of transportation. I exchanged my money at the airport for some Icelandic krónur. Although we were able to use our credit cards to buy everything, it didn’t hurt to carry around some cash. The bus ride from Keflavik Airport to the BSÍ Bus Terminal is about 45 minutes. Once you reach the bus terminal, there are lockers where you can store your luggage until your hotel room is ready. 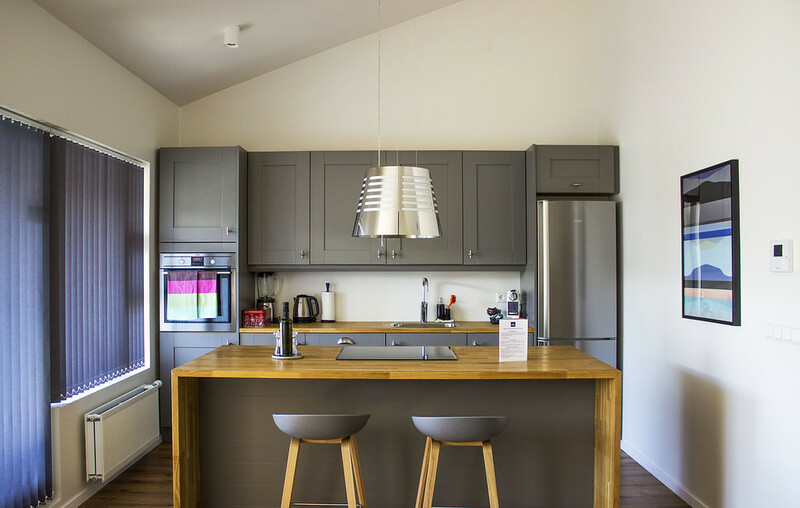 For our first two days and nights in Reykjavik, we stayed at a modern and comfortable apartment, Opal Apartments. Check out our full review! 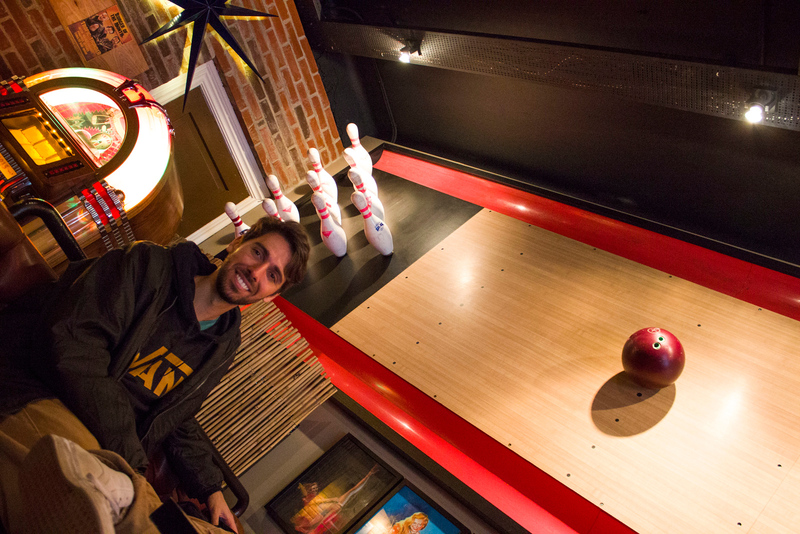 If you’re like us and you needed to kill some time before your apartment was ready, there are a few things you can do. You can check out the Blue Lagoon when you arrive. It wasn’t a super convenient choice for us as the Blue Lagoon didn’t open until 9:00am, which would have meant spending four hours at the airport. However, if you’re interested in visiting, check out this detailed review of the Blue Lagoon. We went right to Reykjavik and stored our luggage at the bus terminal. Then, we walked into town for the morning. We went to the Sandholt Bakery on Laugavegur for a light breakfast, which opened at 7:00am. 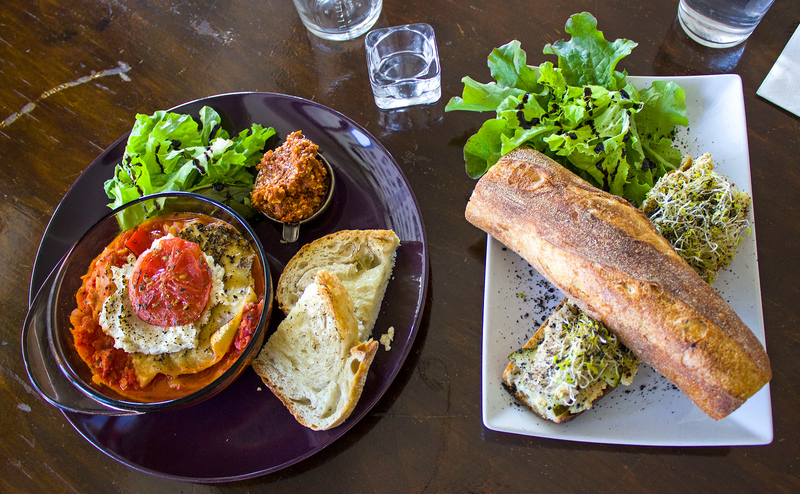 For vegans, you can have some of their fresh sourdough bread with an assortment of local jams and jellies. After walking around for a little bit, we were able to check in to our place and get some much needed rest. 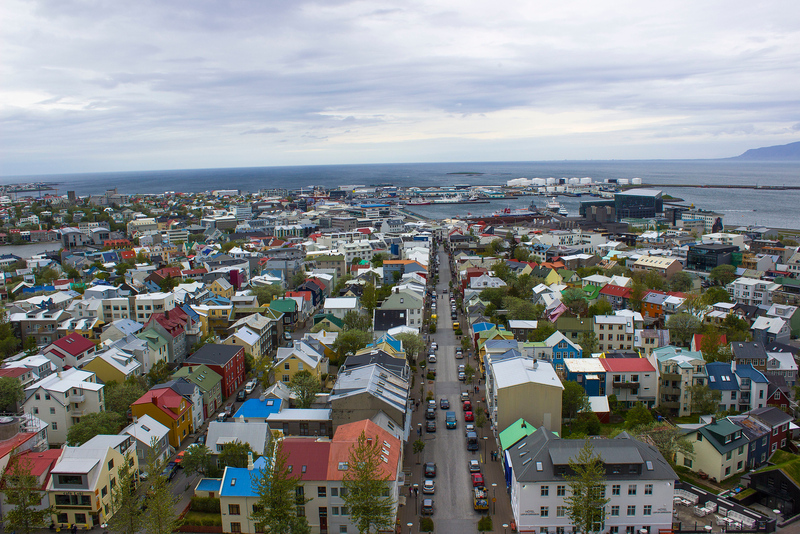 Whether traveling right from the airport and powering through or waking up after a good night’s sleep, here’s a great Reykjavik one day itinerary to help your travel planning. 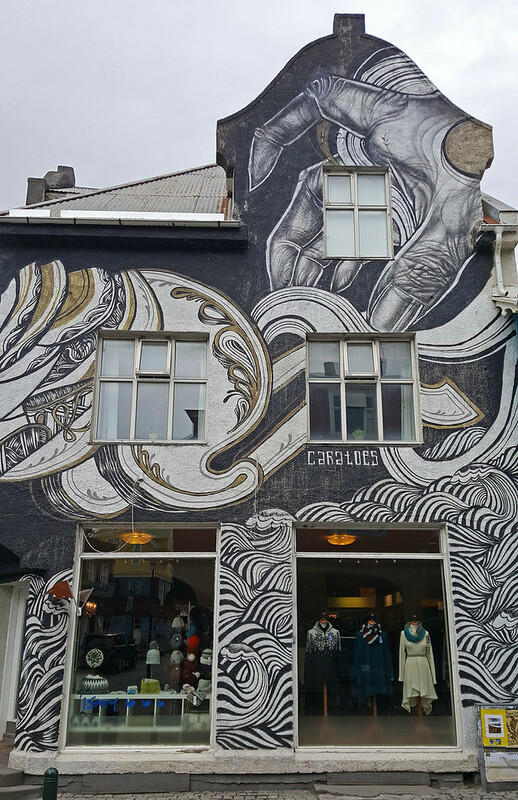 There are a few places in Reykjavik that you truly must see. 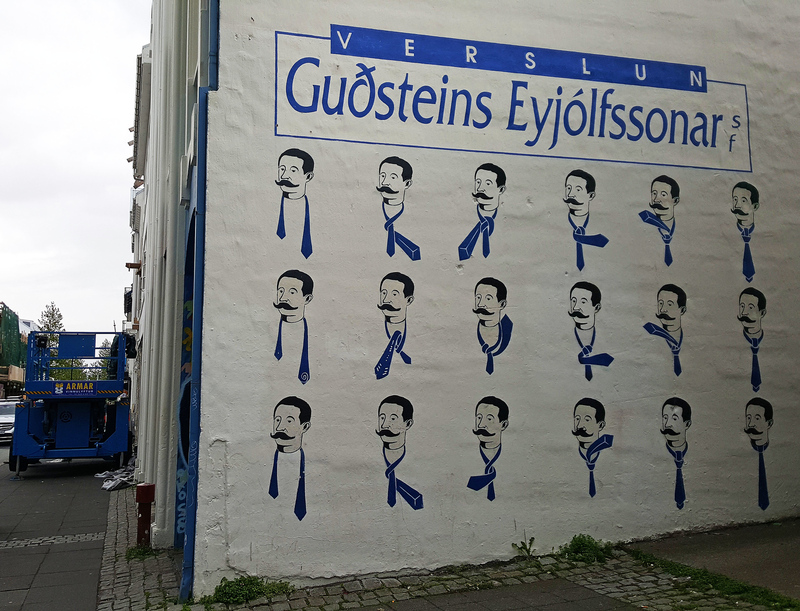 While Reykjavik and Iceland are fairly expensive places, the city attractions we visited were either free or inexpensive. 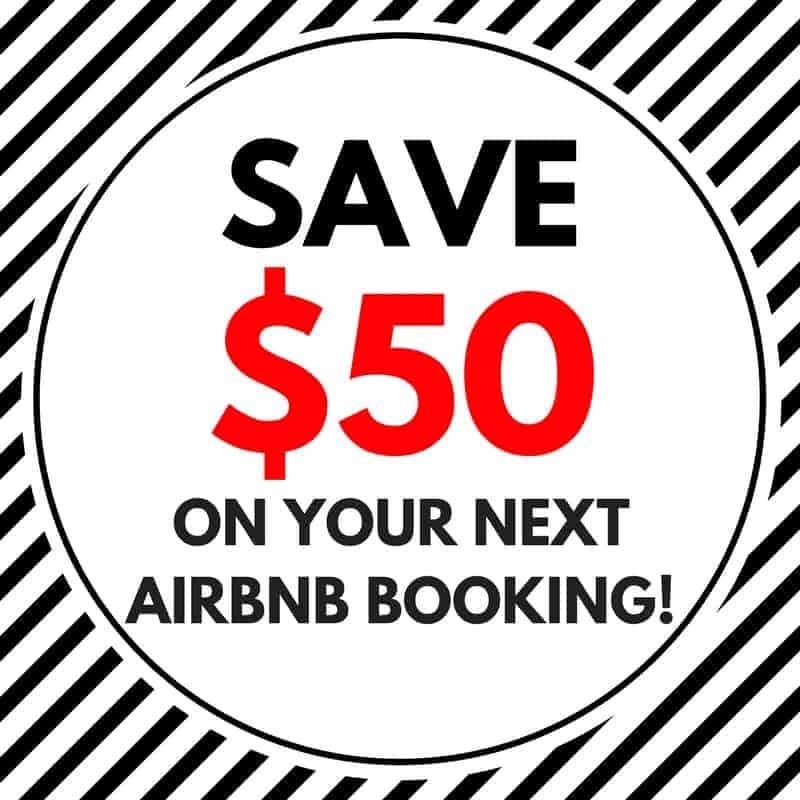 You don’t have to break the bank on your trip! You won’t miss this one. 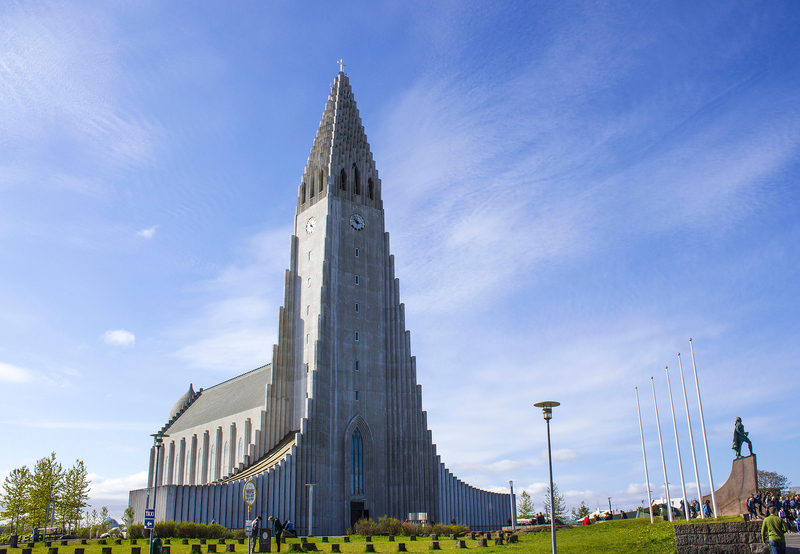 Hallgrimskirkja is the tallest church in Iceland, and the sixth tallest structure in the country. 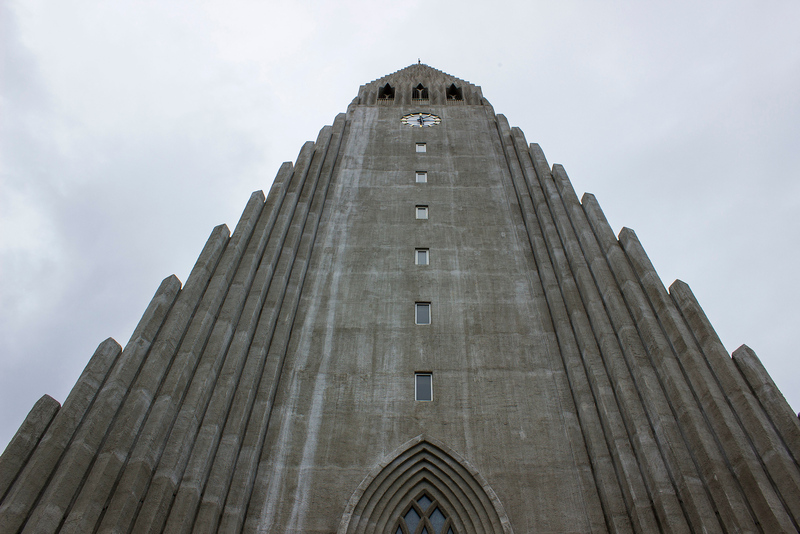 It towers above everything else in Reykjavik, it seems. Not only is the building quite the spectacular sight, but the view from the top of the building is very awesome, too. The church itself is free to enter. You can check out the exterior and interior of the church at no cost. However, you’ll want to splurge on the ticket to the top of the church tower. It’s an extra 900 ISK (about $9 Canadian). After a short elevator ride, you’ll enjoy a 360 degree panoramic view overlooking the whole city. It was a bit windy up there, though it’s completely covered so you’ll be protected in all kinds of weather. 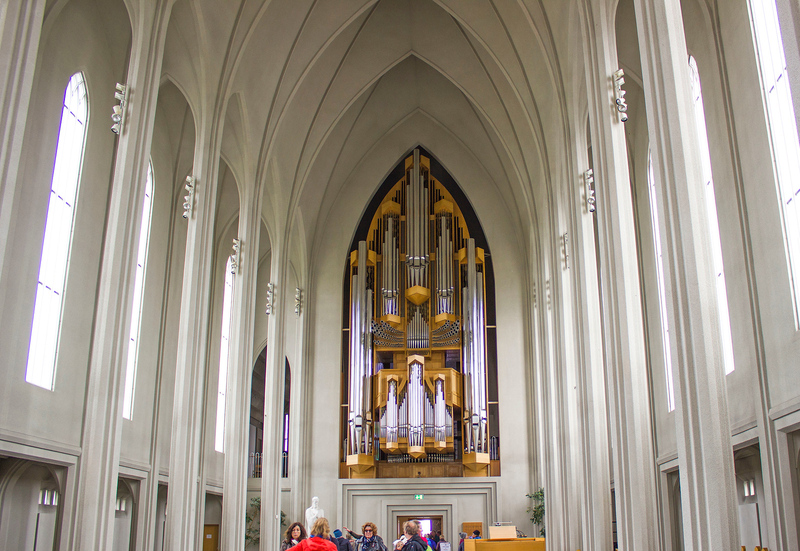 I wasn’t able to stop snapping photos of Hallgrimskirkja. The architect designed it to resemble the basalt lava flows in Iceland. Perhaps that’s why it really isn’t like any other building in the world. This is the main shopping street in downtown Reykjavik. You’ll be able to do some window shopping, browse the boutiques, and perhaps bring some souvenirs home for family and friends. Everything might be a little pricier here than you’re used to – don’t say that I didn’t warn you! There are also many restaurants, cafes, and bars on Laugavegur. 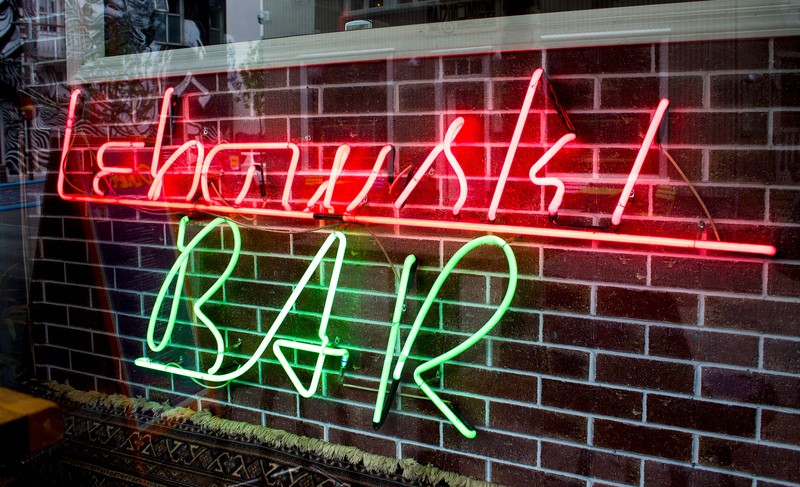 We stopped at one that caught Justin’s eye, the Lebowski Bar. He’s a fan of the movie (don’t kill me…I haven’t seen it yet!). 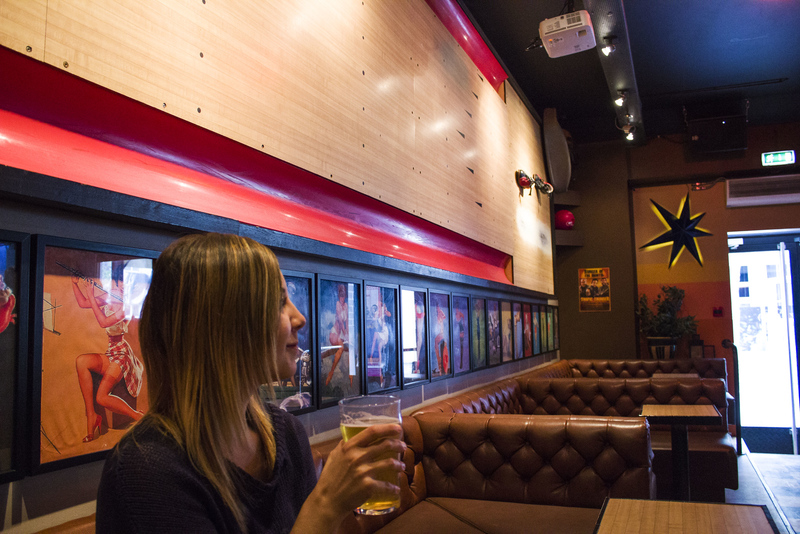 We went inside for a pint of beer – it was 1,200 ISK for one pint! But, it was a pretty unique spot and it’s not terribly cheap to drink in Iceland. We didn’t have any regrets. Tip: If you’re thinking about drinking, you can pick up beer at the duty-free shop at Keflavik Airport. It’s actually fine to buy beer on your arrival at the airport and bring it along with you. It’s definitely cheaper than drinking at the pubs! 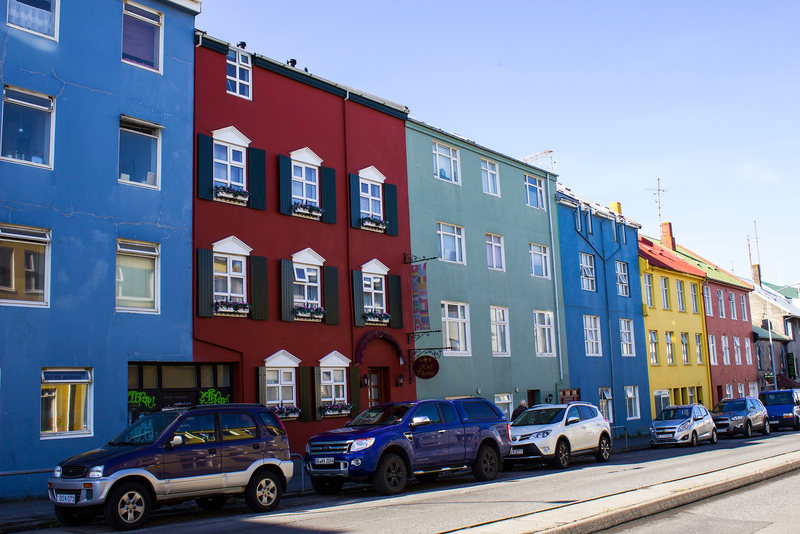 Reykjavik is one of the most colorful cities I’ve visited. The houses are painted in a variety of bright colors. 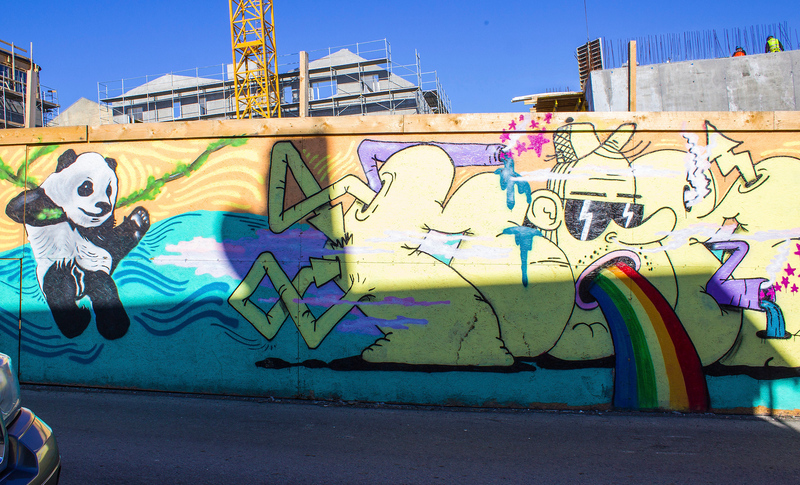 There’s street art everywhere. 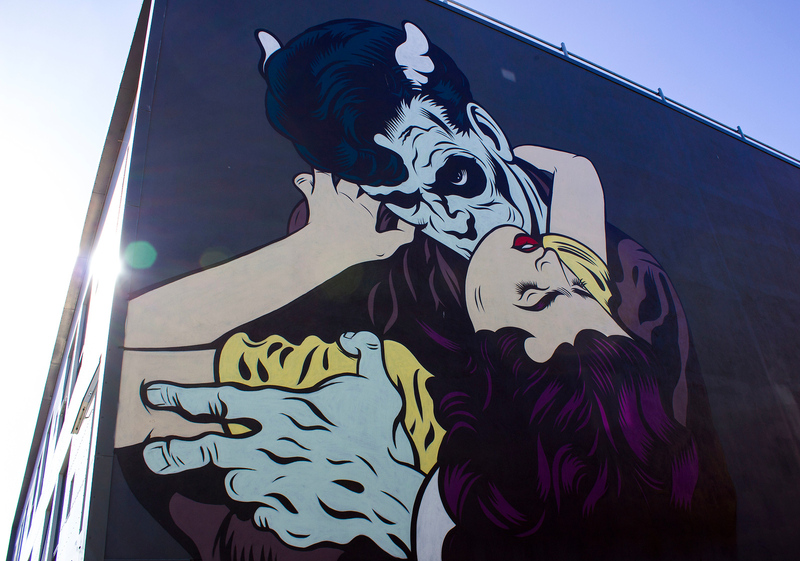 Large murals cover the sides of buildings, walls at city parks, and even along construction sites. 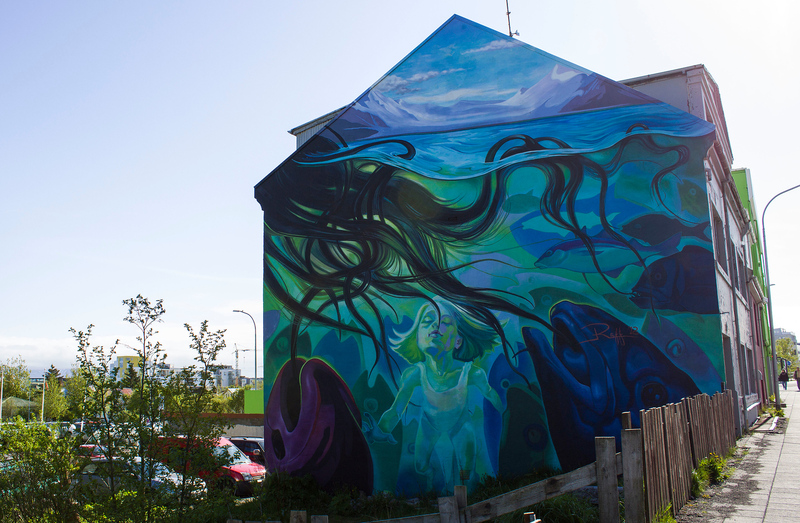 For your Reykjavik one day itinerary, I recommend that you walk around the city and admire the character of the city, as presented through its artwork. 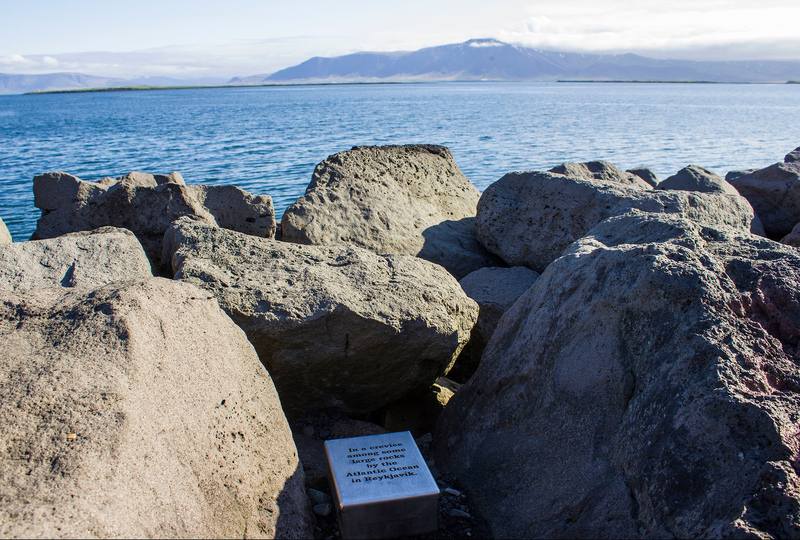 Take a scenic stroll along the waterfront, just a few blocks away from Laugavegur. Admire the views of the distant mountains across the water. 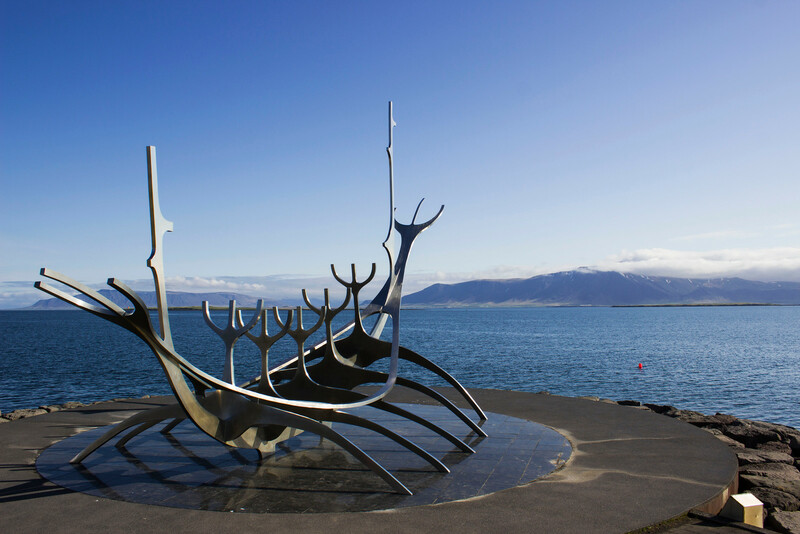 One iconic sculpture you must check out is Sólfar, also known as the Sun Voyager. It is an ode to the sun, and the promise of undiscovered territory and freedom. And on a slightly moodier day. 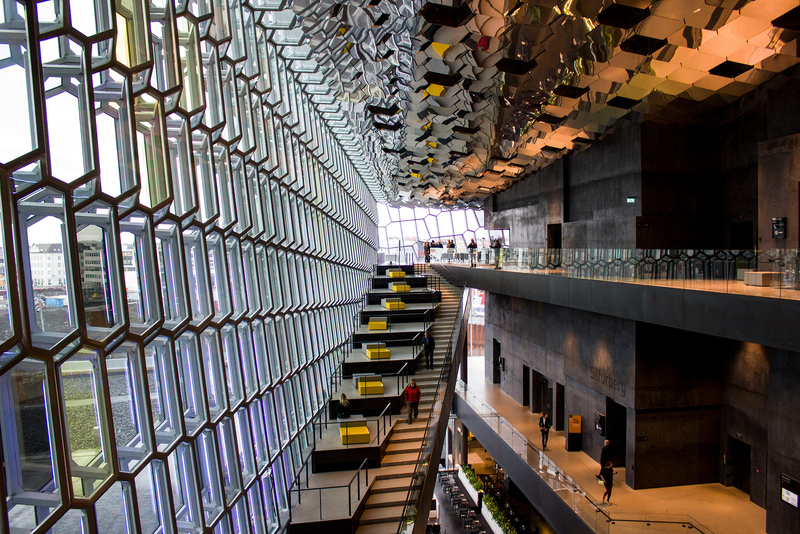 Definitely check out Harpa, the concert hall on the waterfront. You can’t miss it. It’s a giant glass building that’s quite stunning. 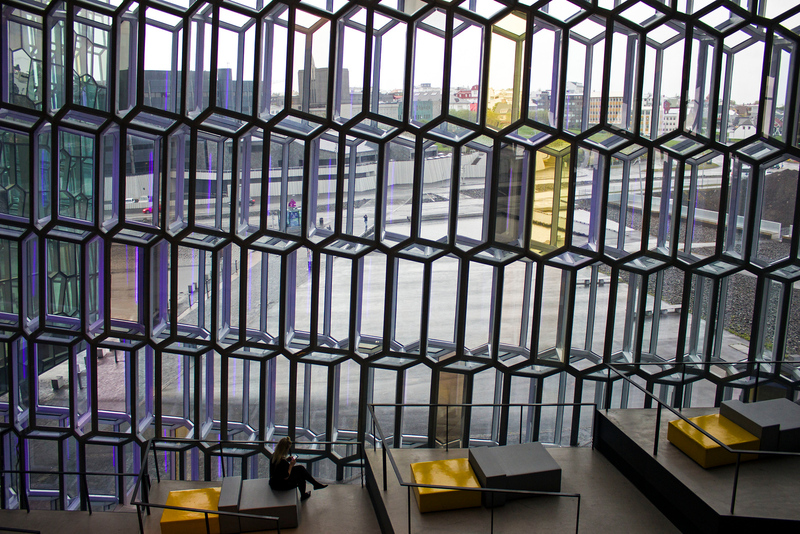 Don’t just observe Harpa from the outside. You need to walk around the interior of the building to fully appreciate it. 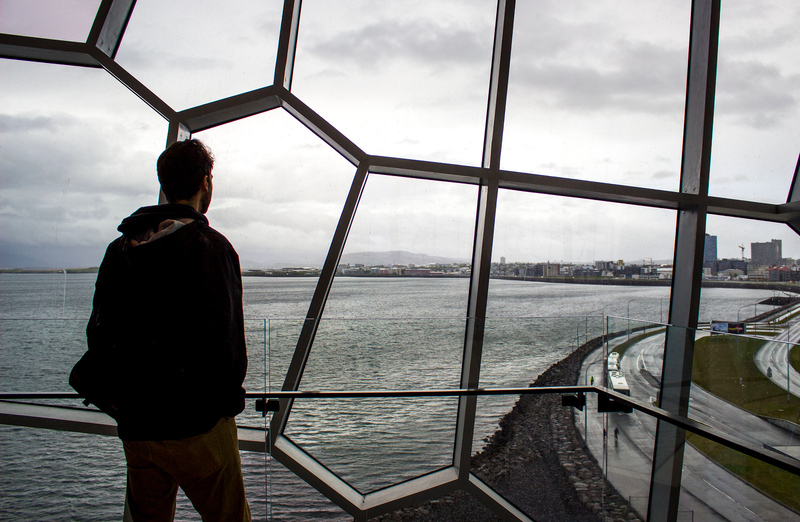 Visitors are free to wander around the inside of Harpa at no cost. We’d love to return to see a concert or exhibition here! We ran out of time to see anything else. If you find yourself with more time in Reykjavik, there are tons of museums and attractions to check out. I recommend that you consider purchasing a Reykjavik City Card. You can buy it based on the amount of time that you’re in the city. The card gives you free admission to several city attractions, as well as discounts in a huge list of other places. You also gain free admission to city buses and thermal pools. 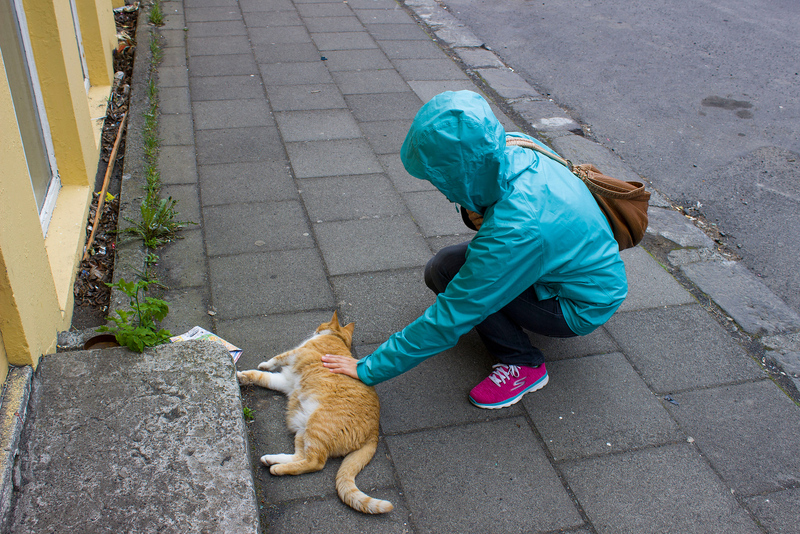 If you’re a cat lover like us, you’ll likely meet some friendly kitties when you’re in Reykjavik. We saw several cats roaming about. They didn’t seem to mind getting some love and attention from us. I’m going to create a vegan guide to Reykjavik soon. There is one vegan restaurant in Reykjavik called Kaffi Vinyl. We actually dined there twice because it was so good. We also had a snack that ate more like a meal at Reykjavik Chips. There are fries that you can get with a vegan sauce on top. Delicious! Justin and I loved staying at Opal Apartments, right in downtown Reykjavik. The apartment exceeded our expectations. It was roomy, cozy, and instantly felt like home. From its spacious kitchen, living room, bedrooms, and bathroom, we completely fell in love with this accommodation. There was complimentary Wi-Fi, a smart TV, and a small balcony. Plus, the location couldn’t be beat! We wouldn’t hesitate to stay here again the next time we visit Iceland (I’m sure we’ll be back someday!). 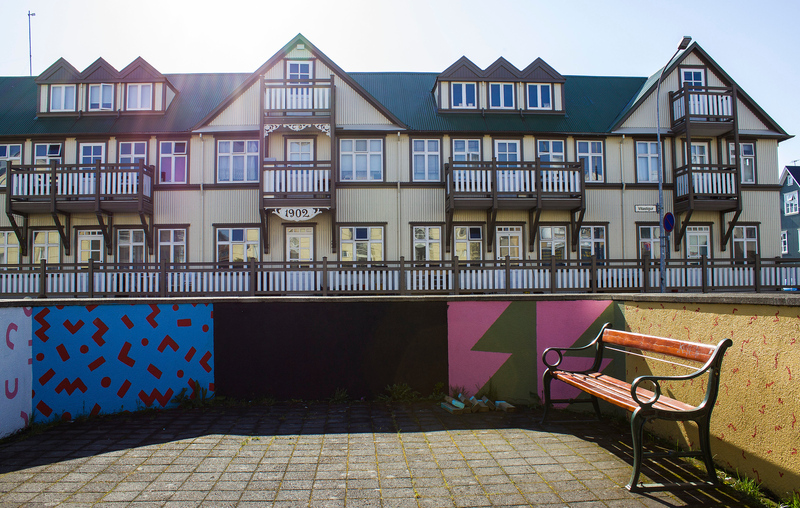 If you’re looking for where to stay in Reykjavik, be sure to book your stay at Opal Apartments Reykjavik. 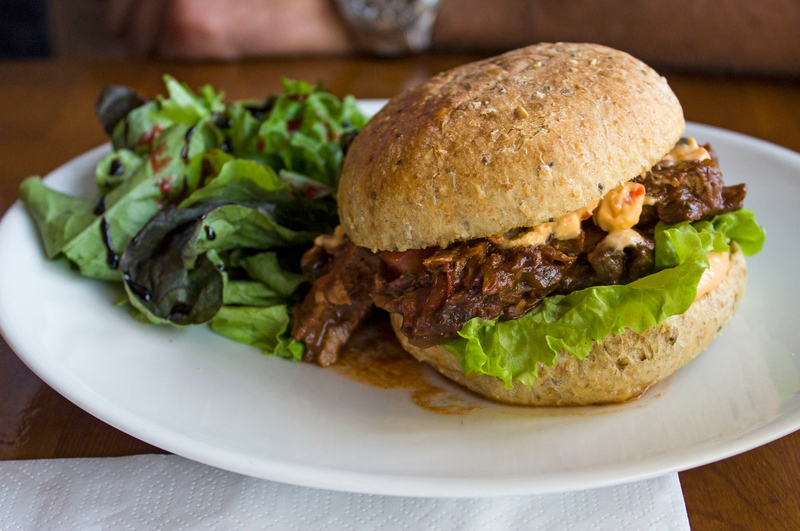 And click here to check out reviews by fellow trusted travellers. To see our photos from Reykjavik, please visit our photography page. You’re also able to purchase prints of our photos and other housewares to enjoy views of Iceland in your home! 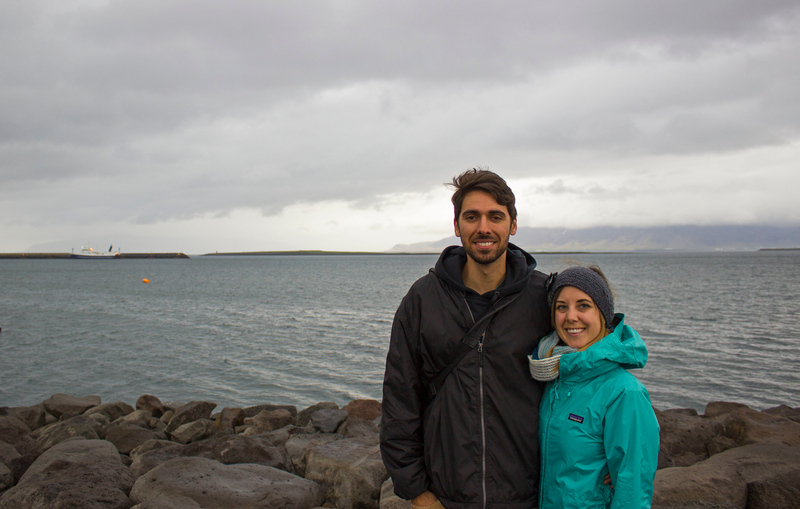 Spending time in Reykjavik was the beginning of our incredibly journey around Iceland. Even if you only have a short amount of time to spend in Iceland, it’s definitely worth venturing into town. This Reykavik one day itinerary allows you to explore and feel the atmosphere of this vibrant place. It’s also a great starting point to a longer trip driving around the Ring Road, like we did! Check out how we spent two weeks in Iceland. Have you traveled to Reykjavik? Any places that you recommend that we missed? What a fascinating place given how small it is … its like a much more fancy version of Punta Arenas, Chile! I agree! and yet both are so unique in their own ways! 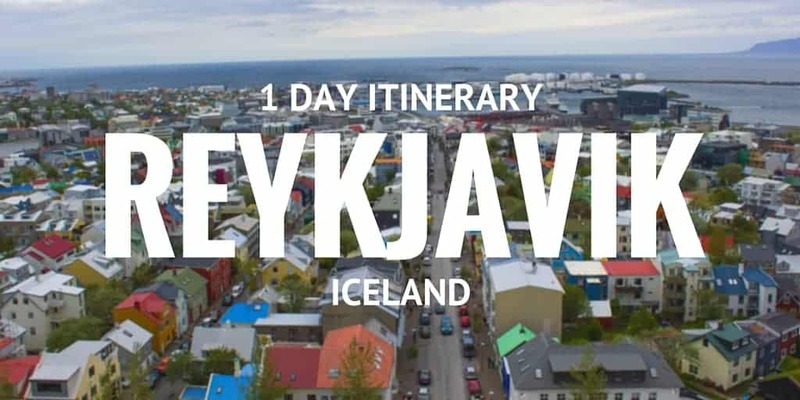 There are some sweet deals flying from US to Europe with a 1 day layover in Iceland. 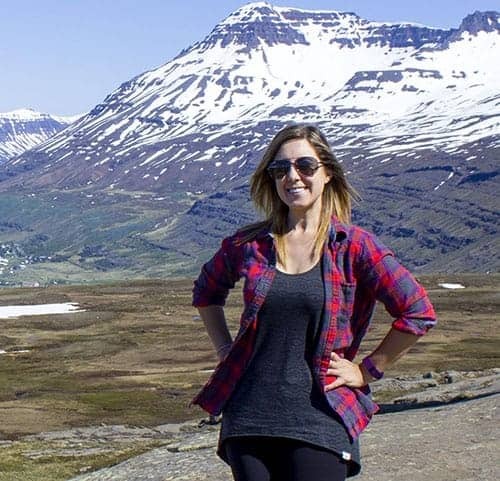 This post makes those air deals much more enticing – now I see how much you can experience in Iceland in 1 day. Iceland is in our top 5! Saved this for future reference. We may only spend one day in Reykavik as I want to do some hiking. This is fantastic, the tips and the photos. I wanted to visit Iceland before I read this, now it’s even stronger. Thanks. 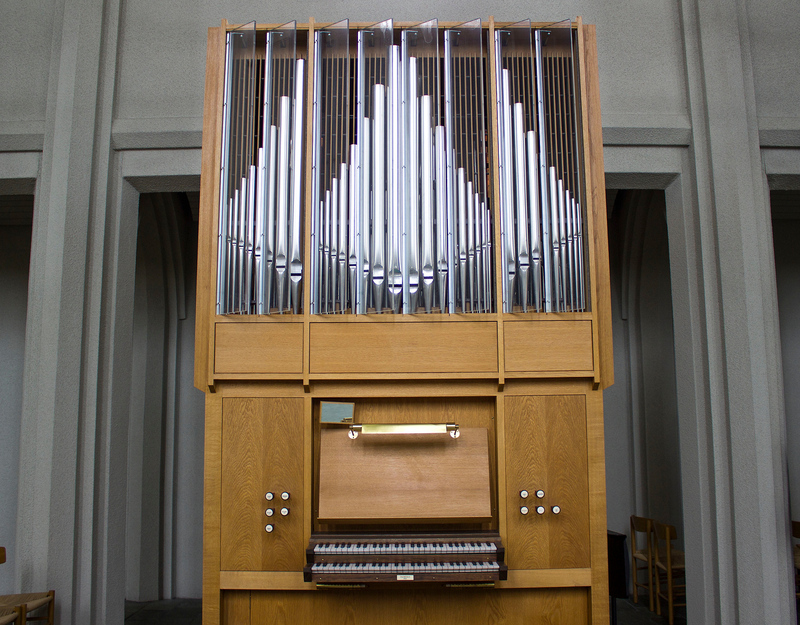 I love Iceland, I was unable to go to Hallgrimskirkja last time I was there. Looks like I need to book another trip just to get that view! Thanks for sharing this! I’m stopping over in Reykjavik for two nights in September and this will make my research for what to do much easier! 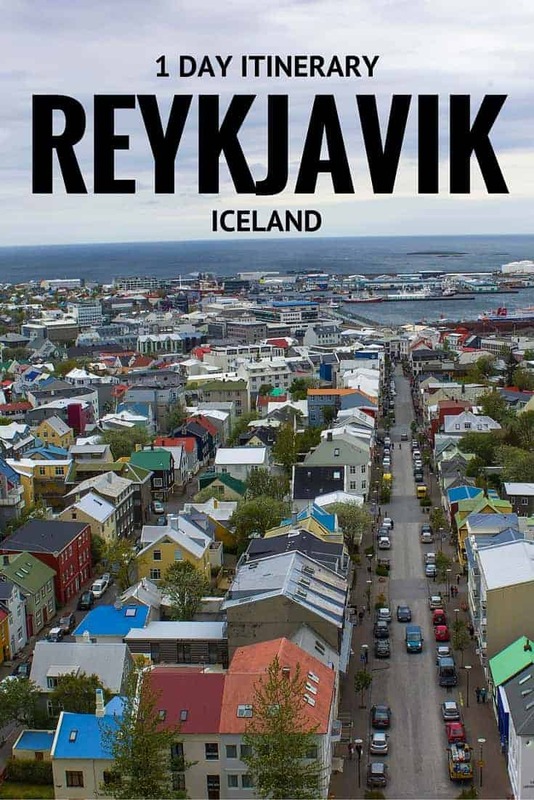 I am heading off there in 2 days time and was looking for some ideas, as we will be spending one day in Reykjavik before driving around the south of the Island. This was an amazing article for me to find, and I shall pretty much be following your lead on this. It looks so beautiful, and I love the addition of the local cats. Thank you for posting this and for being our Icelandic Travel Guide. This is a great post!! All places I would love to see while in Iceland!